To create a funky and more modern version of the old logo, an identity that was flexible to respond to a fast moving area of music retail. 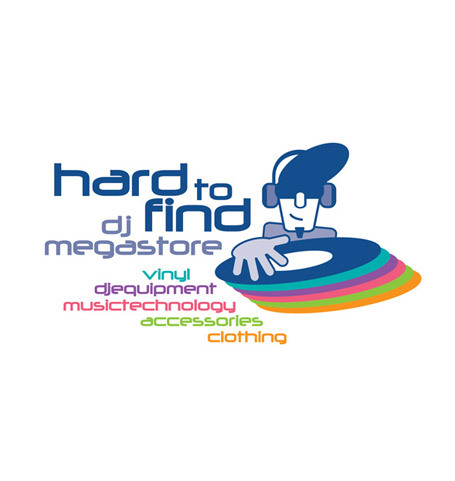 Hard to Find Records were struggling with their marketing material and existing logo, we created a funky new icon that not only incorporated records at the core of the business but also music as a generic which will allow them the flexibility to grow and respond to a rapidly changing market. Using headphones and a dj character we injected modern personality matched with a palette of colours one for each area of business, which when combined into the primary logo creates a vibrant identity across the entire business. Variations on the logos allowed for use on stickers, signs, fax and even very small use as a badge on products such as bags. An injection of modernity, with new signing, new website and material has all helped to increase sales and keep this niche company at the forefront in its field.